In honor of #WellnessWednesday, and because all of us here at HREG are working to make better food choices—with the occasional glass of wine and piece of chocolate sprinkled in, of course (it’s all about moderation, people)—we thought we’d share some of our favorite places to pick up fresh, local produce. 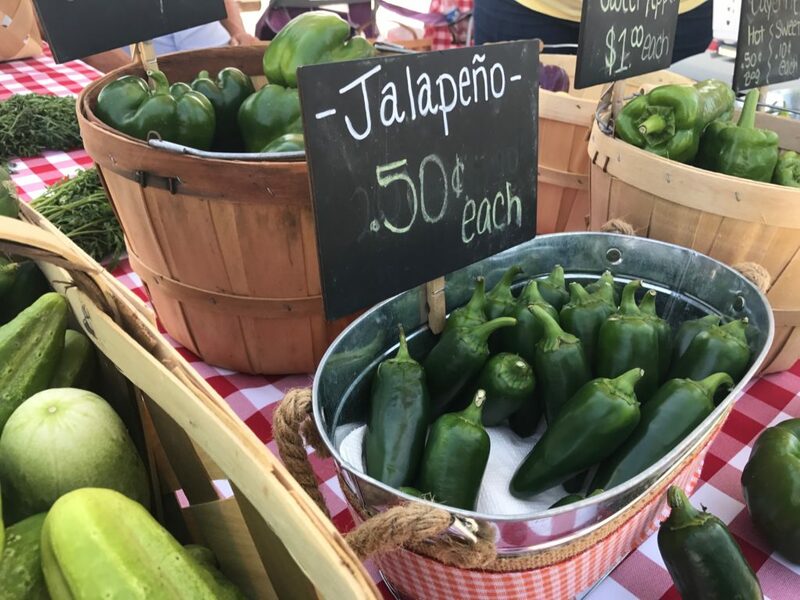 Our community has no shortage of produce stands and farmers markets, and summertime is the best time to take advantage of locally grown fruits and vegetables. Every Wednesday, you can pick up fresh fruits and veggies from the Historic Downtown Mocksville farmers market, located at Junkers Mill. Many of the vendors also offer fresh canned goods and bakery items, and there’s almost always free samples! On Friday, the Peachtree Farmers Market is open from 3:30-7:00 in the corner of the Davie Medical Center. In addition to a variety of fresh produce, you can find fresh baked goods, including delicious Moravian chicken pies from one of our favorites, A Full Measure. 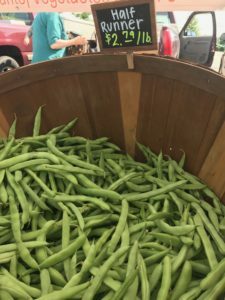 We also enjoy visiting the Village Farmers Market, located at the Clemmons Village Hall on Saturday mornings from 8:30-12:00. There’s always a great selection of fruits and vegetables, as well as local honey, handmade soaps, and other local goodness. There are also plenty of great options in Forsyth County. We enjoyed checking out this information provided by the Forsyth Community Food Consortium. With so much fresh produce widely available now, it’s the perfect time to test out a few recipes. We find some of our favorites in great local magazines like Winston-Salem Monthly and Energy United’s Carolina Country. Check out this one for Chilled Cucumber Soup from Lynn Wells featured in Our State.